A lot of you will of noticed the hype and celebrations surrounding the World Basketball Festival lately, the event began today in non other than NYC. Some very special things are going down this week. 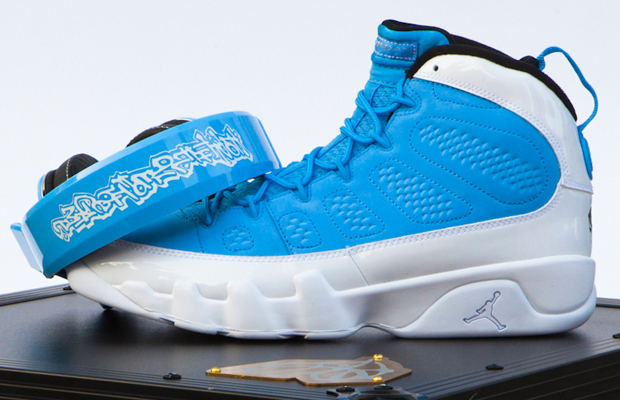 Jordan Brand have already showcased the ’For The Love Of the Game’ pack, featuring AJ make-ups in the North Carolina blue (Jordan’s former college team). This week also see’s Harlem’s iconic sneaker store Atmos, being transformed into a Jordan only pop-up store featuring some limited edition releases – you and I are probably wishing the same thing right now. To coincide with this weeks celebrations, Jordan Brand are also releasing a very special collaboration which is part of the ‘For The Love Of The Game’ pack. 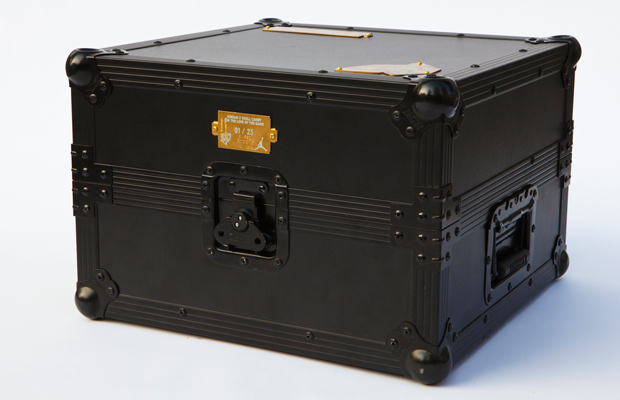 They have teamed up with Skullcandy, who are known for their music/lifestyle products, to create a limited edition package that contains amazing product from both brands. 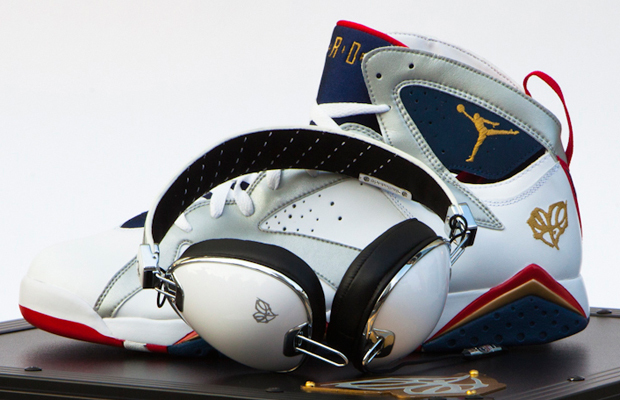 Air Jordan VII’s and IX’s are featured in this release, both taken from the recent ’For The Love Of the Game‘ pack, with matching headphones to go with each colourway. 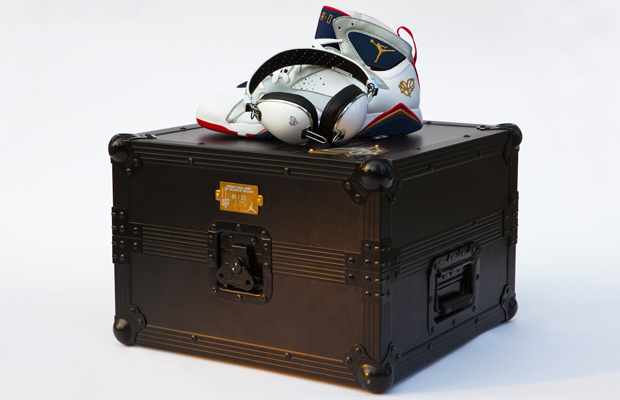 The Olympic VII’s are probably the most wanted here, a favourite with AJ collector’s, used by MJ in the 1992 Olympic “Dream Team”. 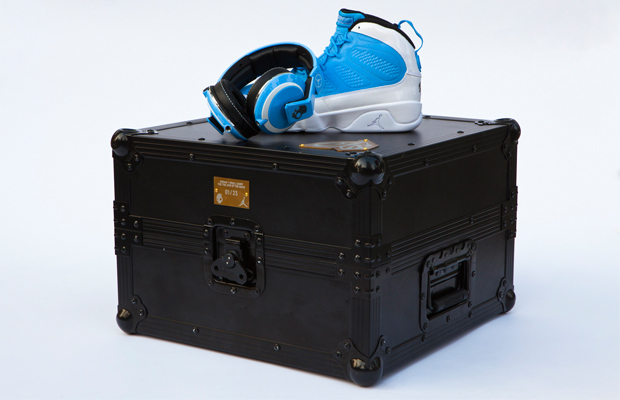 The IX’s have appeal to the younger crowd with the bright North Carolina blue and urban influenced headphones. 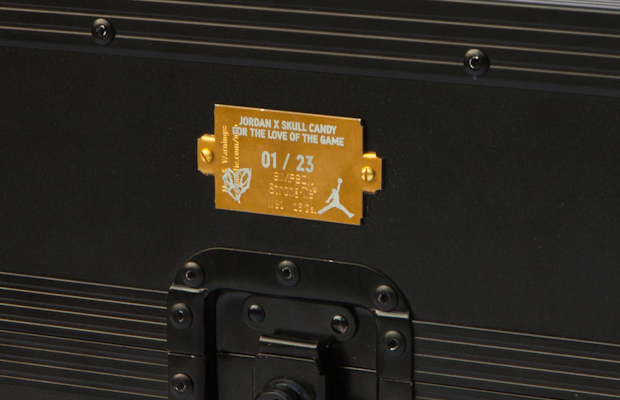 Both come in a special flight case style box that holds the sneakers, headphones and headphone case with Jordan brand detailing on lining of the box. Each box is numbered from 1 to 23. Both are available exclusively in the UK at House of Hoops in Foot Locker now.